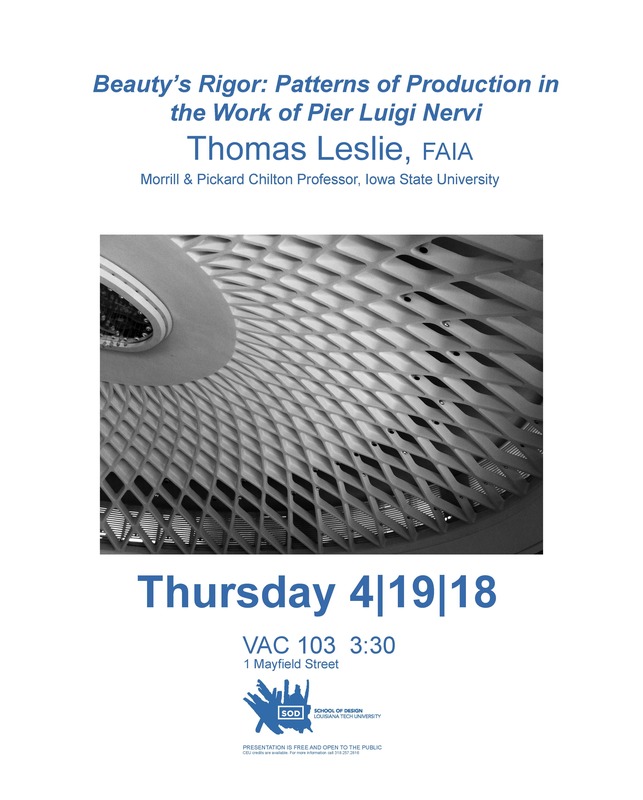 Thomas Leslie, FAIA, is the Morrill Professor and Pickard Chilton Professor of Architecture at Iowa State University. His research interests include the integration of building sciences into architectural design both historically and in contemporary practice. He has authored a number of books on building sciences, construction methods and most recently he completed a book on the work of Pier Luigi Nervi, which will be the subject of his lecture. He received the Rome prize in 2013. Additionally he is a registered architect in the state of Iowa.